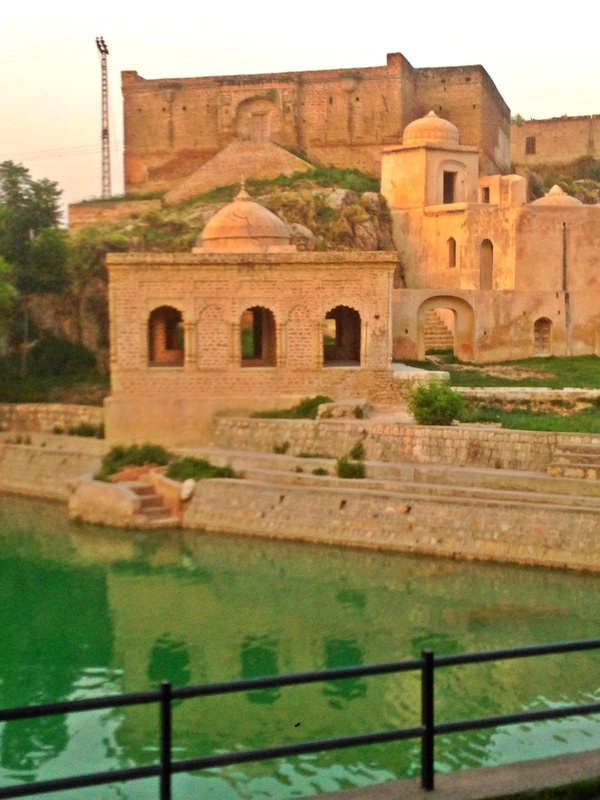 Katas Raj is a complex of small and large temples situated in the picturesque Soan valley, Pakistan. This area is part of the fascinating Salt Range that have vast archaeological treasure still to be discovered including fossils of extinct animals and plants. The earliest of the temples was built in the 6th century AD, even the smaller temples surrounding it are now nearly 900 years old. Dedicated to the worship of Shiva, the main temple existed since the days of Mahabharata. The beautiful pond in the middle of the complex is believed to have magical powers. According to one legend, when Shiva’s wife Sati died he cried so much that his tears created two holy ponds – one at Pushkara in Ajmer and the other at Ketaksha, which literally means “raining eyes” in Sanskrit. [one_fourth_last]e ; in the scorching heat the clean, clear water of the pond was a source of inexplicable comfort. The local people say that this water has never dried through the centuries which has an underground spring as it’s continuous source of supply. The inside of the temple walls and ceilings are beautifully decorated with murals and floral patterns. There is a surreal calm, stillness and serenity that shrouds the temples. One of the temples is still open for worship and the pond can only be used by the worshippers for the holy bath.